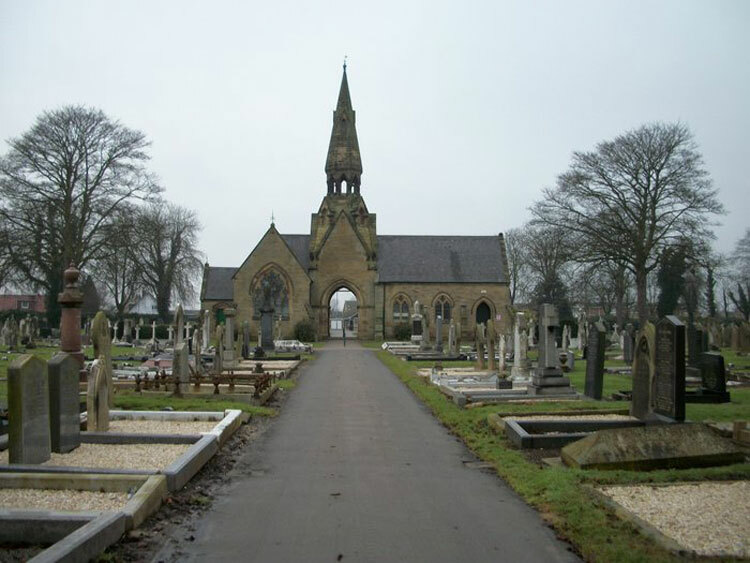 Goole Cemetery contains 62 war graves of both world wars. One of the First World War burials is that of a soldier who served with the Yorkshire Regiment. Select the above image for a larger version, which opens in a new window. 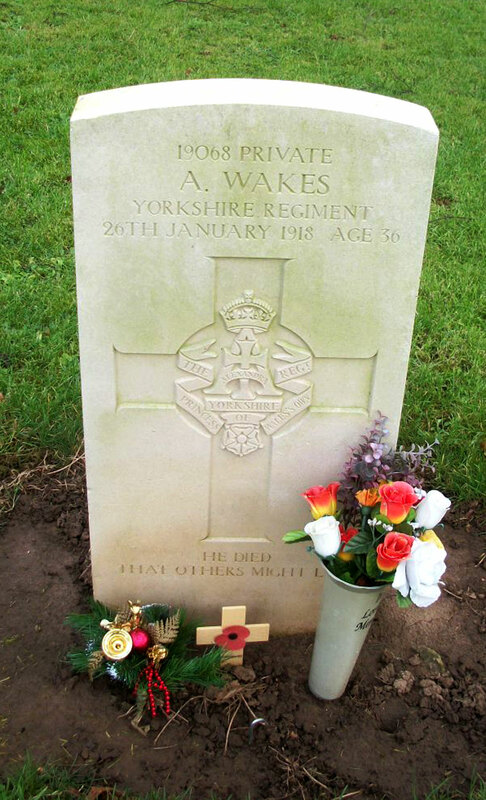 Private Arthur Wakes. 19068. 11th Battalion the Yorkshire Regiment, formerly 19701 K O Y L I. Son of William and Anne Maria Wakes. Born at Goole. Died at home 26 January 1918. Aged 36.